MAYFIELD HEIGHTS, Ohio--(BUSINESS WIRE)--Jan. 4, 2018-- Materion Corporation (NYSE:MTRN) has been awarded a contract by UTC Aerospace Systems for AlBeMet® metal matrix composite parts for its MS-177 long-range, multi-spectral imaging (MSI) sensor. 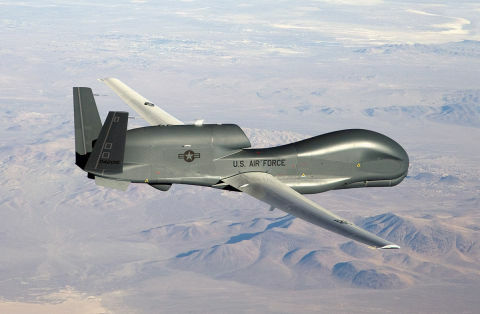 The sensor is currently undergoing integration testing and qualification for the Northrop Grumman RQ-4B Global Hawk Unmanned Aircraft System (UAS). Materion produces AlBeMet, an aluminum beryllium composite, which combines the high modulus and low-density characteristics of beryllium with the fabrication and mechanical property behaviors of aluminum. Because of its excellent stiffness-to-weight ratio, AlBeMet is used extensively in optical, structural and electronic housing components in aircraft, satellite and commercial applications. To learn more about AlBeMet and Materion Corporation, visit https://materion.com/products/beryllium-products/metal-matrix-composites-aluminum-beryllium-albe/albemet-am162. Materion Corporation is headquartered in Mayfield Heights, Ohio. The Company, through its wholly owned subsidiaries, supplies highly engineered advanced enabling materials to global markets. Our unique product portfolio includes high performance alloys, beryllium products, clad metal strip, composite metals, ceramics, inorganic chemicals, microelectronics packaging materials, precision optics, thin film coatings and thin film deposition materials. Learn more about Materion at http://materion.com/About.